Even though there are many introverts among us, this part of population often remains misunderstood. And it’s plain to see why, because the term “introversion” itself isn’t understood properly by many. Introversion doesn’t mean that people are always shy or has nothing to say, or always finds it difficult to communicate. It just means that they recharge their batteries by spending some time alone, while extroverts do this via socialization. Many of the people who are great leaders or are keen on public speaking may be introverts. It demonstrates that being an introvert has nothing to do with lame presentation skills. Introverts hate small talks because they’re dreadful and create unnecessary barriers among people. Having a meaningful conversation is much better than discussing the weather, or finding out where one lives or what he or she had for lunch. Good relationships and friendships aren’t formed by having small talks, but by having meaningful conversations that go far beyond silly talks about nothing in particular. It may sound cliché but that’s what introverts really need. Here’s how you can do it – find a challenging event that you hesitate to visit, set a goal to attend it and prepare a reward if you go. For instance, in case you have visited the event, stayed there for a couple of hours and talked with 3 random strangers, you can get back home and watch the TV all night long. Or, maybe, go to your favorite restaurant next day and make an order of the most delicious dinner. Personally, I used this method to my advantage when I forced myself to spend 2 hours daily in the kitchen at busy times. I was determined to talk and have meaningful conversations with people there. It worked perfectly well. It’s a basic thing – understand what you like and don’t like and stick to your taste. If you don’t like loud parties, don’t attend them. That’s it. Make yourself a rule – before you leave the house, ask a question “Am I going out because I’m genuinely interested in it or my decision is based on Fomo?” The answer should identify if you stay at home or go out. 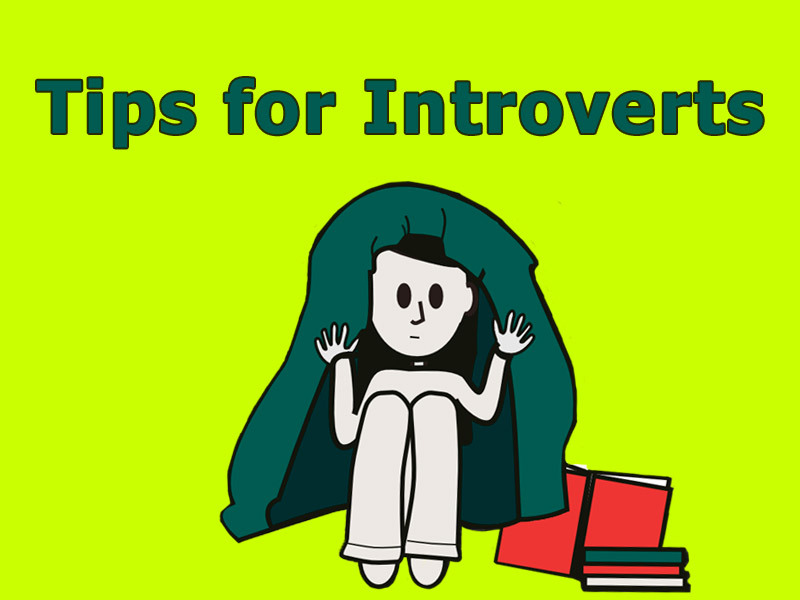 There’s nothing extraordinary about being an introvert and you can adapt to the university atmosphere during the first semester if you follow these tips. In fact, universities are outstanding places for introverts to thrive, get better at public speaking, find new leadership roles, and learn more about themselves. Join clubs or societies, try new activities and roles that you’ve always been interested in and you’ll be surprised by the new heights that you’re reaching.